Mission Liberté: Will you be able to escape in time? If you’re looking for a new adventure in Tremblant, you’re in luck! Mission Liberté offers an enthralling form of year-round indoor entertainment right in the pedestrian village. Themed rooms will immerse you in a thrilling experience where you must solve riddles an locate clues in order to find the key to your freedom! In one hour, the goal is to successfully complete many small intellectual and physical challenges in teams of 2 to 12 people. Entering is easy, but exiting will require all your senses and keen observation skill. 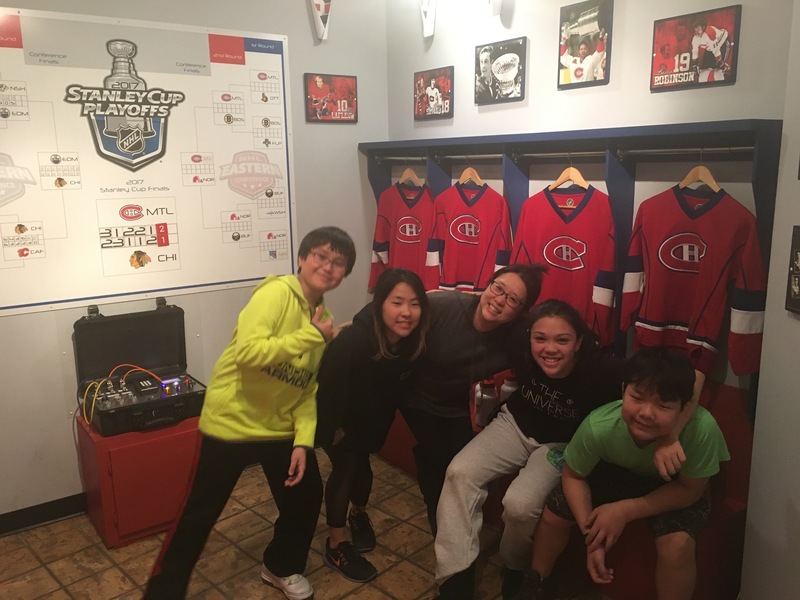 Fun for all ages, this live action adventure game is excellent for groups of friends, date nights, corporate team building, and family reunions. Discover your detective abilities and other hidden talents as you and your teammates work together in solving a great and mysterious challenge. After the game, you and your group can debrief and gauge your strengths and weaknesses. 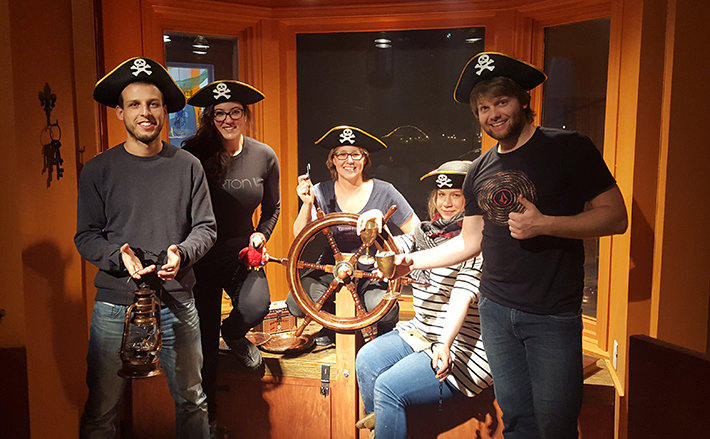 Since its opening last February, Mission Liberté has grown from 1 escape room to 6 and has established itself as a MUST DO Tremblant activity along the way. Visitors can try to escape from the Mafia, Pirates, Super Villains and explore deep Space or the classic tale of Jack and the Beanstalk. Up for a nerve wrenching experience? You can even try disarming a bomb before it explodes at a crowded hockey match! Until May, Mission Liberté will also offer Virtual Reality trial sessions on the incredible Vive VR system. They will also be reinventing their first room, the popular Pirates adventure, in May, so be sure to come try the classic original version before it’s gone! 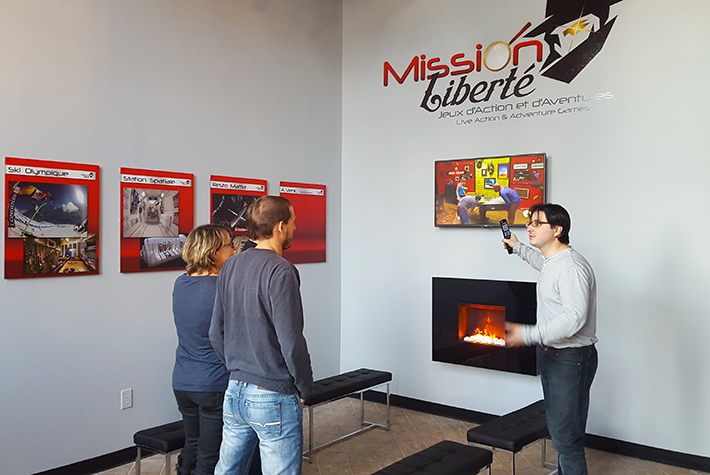 During school break season, customers should reserve their preferred game and time at missionliberte.com. If the weather is less than ideal, advance reservations are more important than ever. The Mission Liberté team is planning a 7th escape room for May and a completely new activity attraction for summer 2017 – more info to follow. Spring arrived earlier than expected in Tremblant!